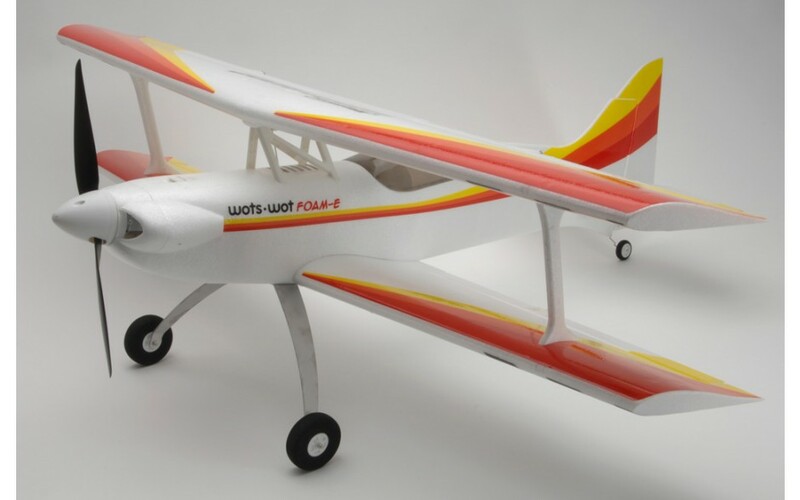 The Wots Wot Foam-E makes for a perfect all round sports foam aircraft. The Wots Wot Foam-E combines the slow speed characteristics of the Wot4 Foam-E and the precision and 'locked in feel' of the Acrowot Foam-E. 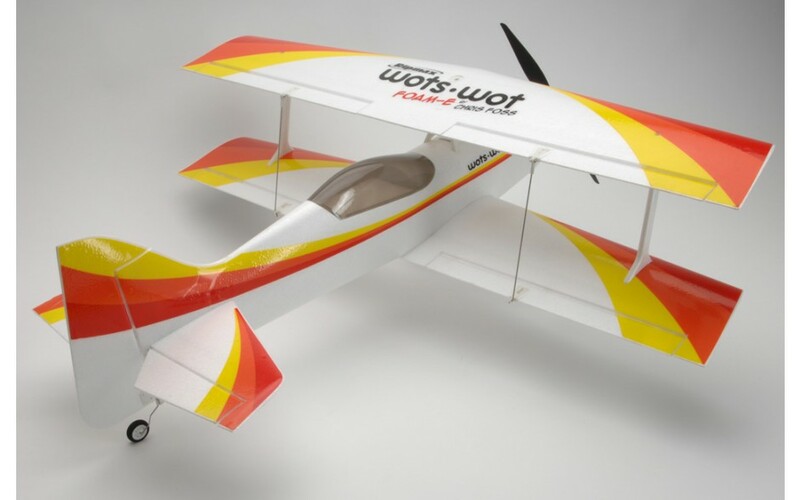 The Wots Wot Foam-E has been specifically designed to suit a popular 3S 2200mAh Li-Po battery resulting in a model that will fit in a hatchback car boot fully assembled! 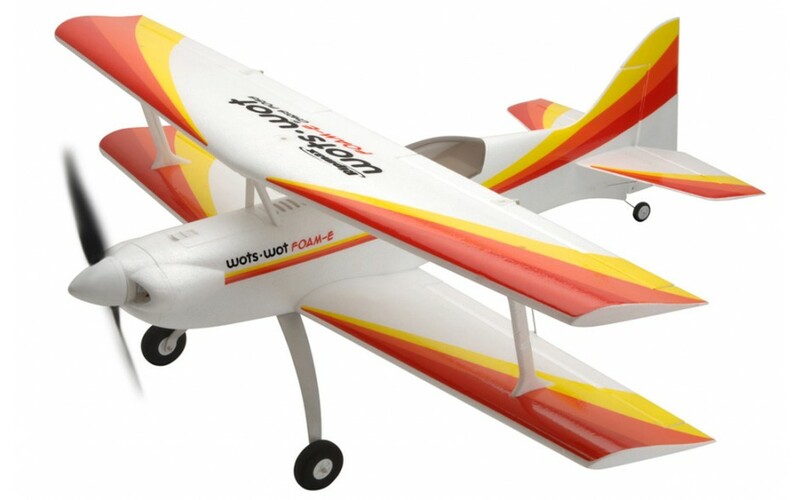 For a little more flight time, try the Hi-Energy 2700mAh pack instead. 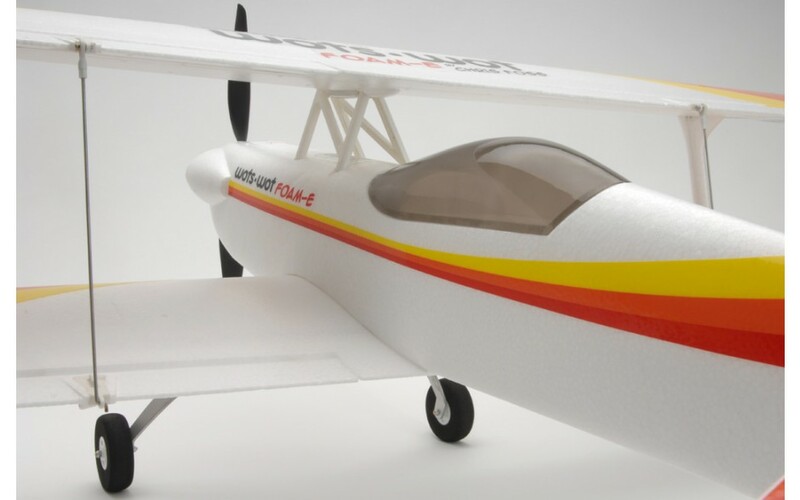 The power system consists of a higher power 920kv outrunner brushless motor with 40A brushless ESC that really packs a punch giving the airframe over 1:1 power to weight ratio! Using a popular 2200mAh battery the duration is approximately 8 minutes. 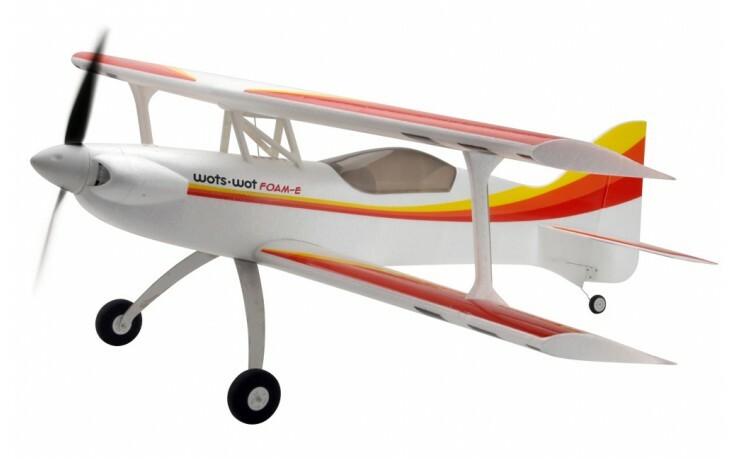 Supplied in RX ready format the four 9 gram micro servos, outrunner brushless motor and 40A ESC come pre-installed ready to connect up to your choice of receiver and li-Po battery. Using the latest in foam moulding technology you will notice the edges are very crisp and sharp without the weight penalty of a denser foam. The control surfaces use 'live' style moulded foam hinges but they also have plastic hinges moulded into the foam for extra security. Assembly is easy and requires only a cross head screwdriver. It's so quick it takes longer to fit the decals than to assemble the airframe! In the air biplanes are associated with slow scale flight but not the WotsWot, thanks to four large ailerons the roll rate is fast and authoritive and the short moment of the design gives great elevator and rudder power. 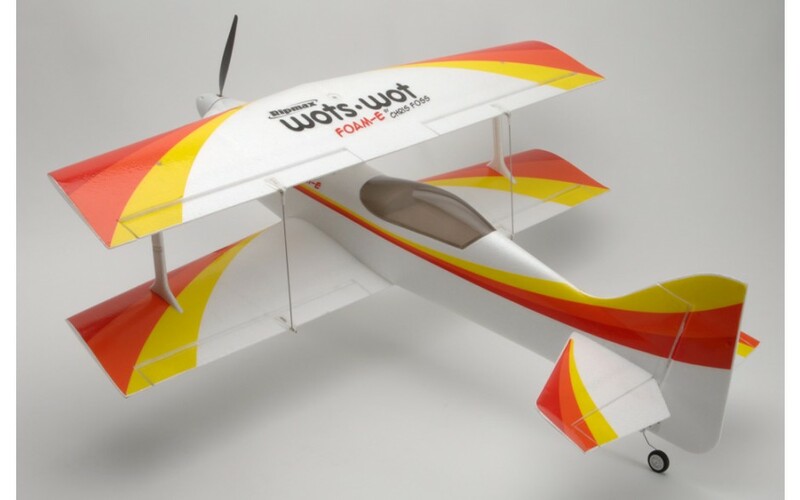 The Wots Wot really excels during slow speed flight and can be really docile with low rates on. 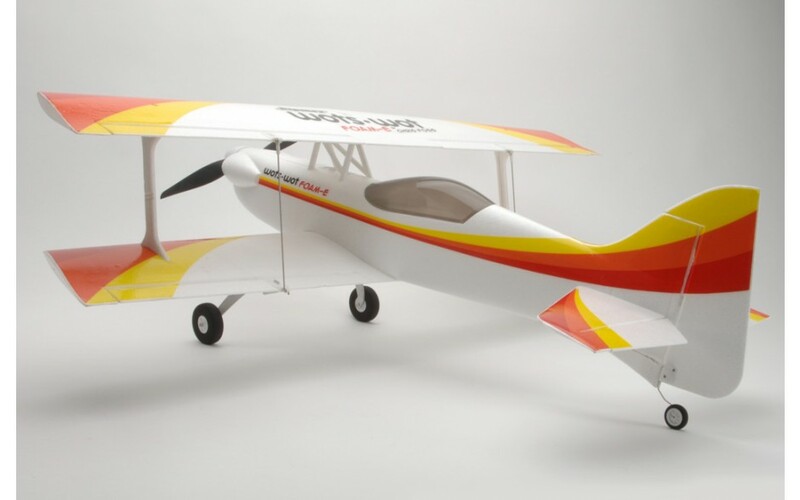 Up the rates and open the throttle for flicks, spins and knife edge loops are more! The stall is benign and thanks to the biplane configuration it really slows down nicely for landing.